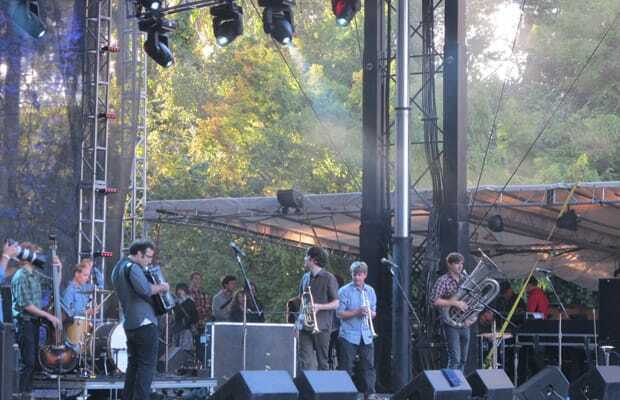 The clean cut boyishness of Beirut was matched in brightness only by the clean notes from the horn section. This is a candidate for best show at the festival. Watching an audience of young music and drug enthusiasts geek out about hot brass instruments laying down gypsy rhythms is a novel experience, one everybody should have.